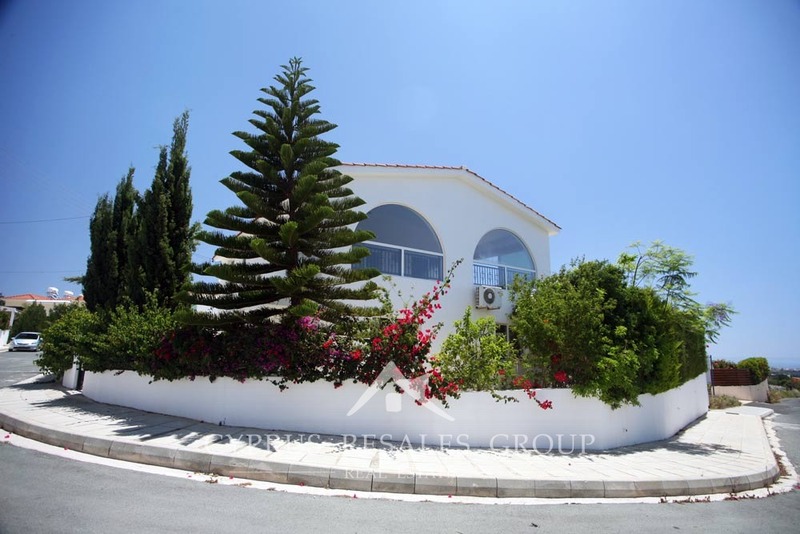 The ever popular village of Tala is a favorite with villa buyers of all nationalities. 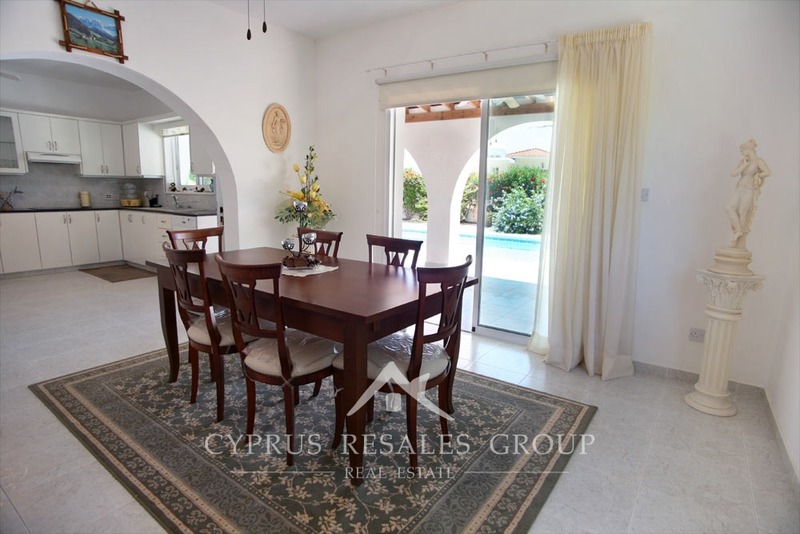 The traditional village square being only a few 100 meters away you will be able to go out for a coffee, bite to eat or a glass of crisp wine and simply walk home to your secluded villa. 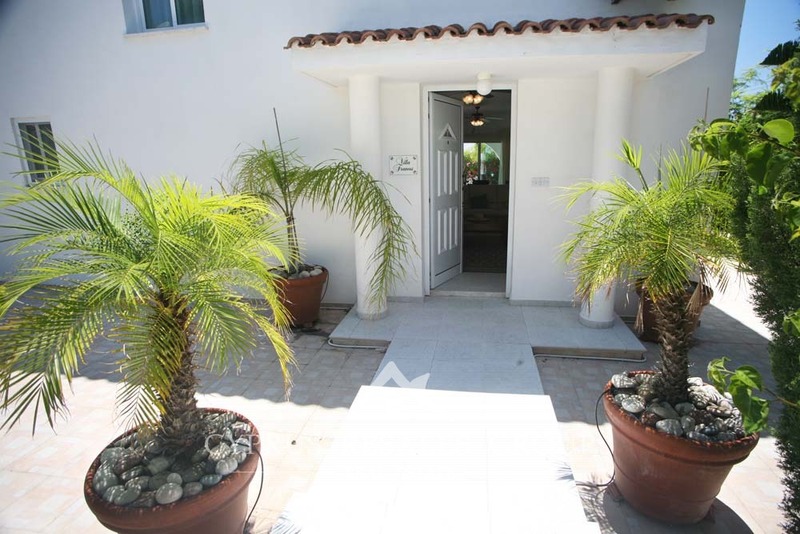 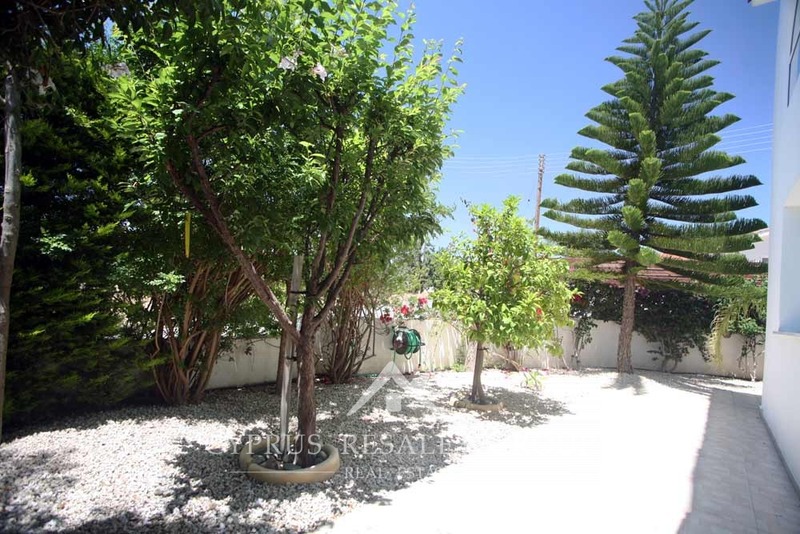 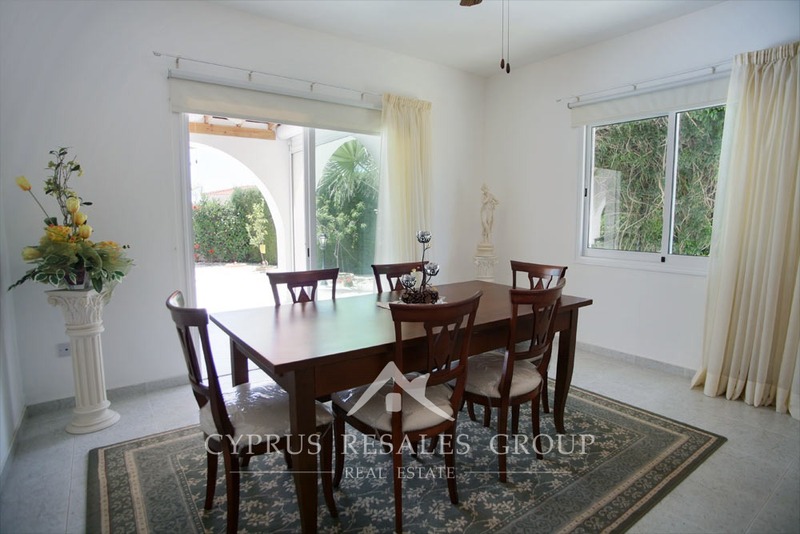 The international school of Paphos is also within easy commuting distance of this versatile family home. 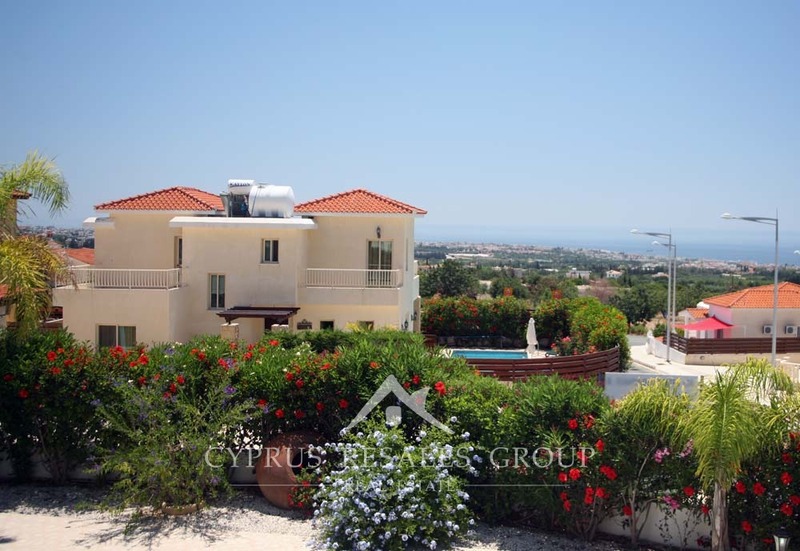 This large family house enjoys an idyllic setting on the lower slopes of Tala and occupies a premium corner plot. 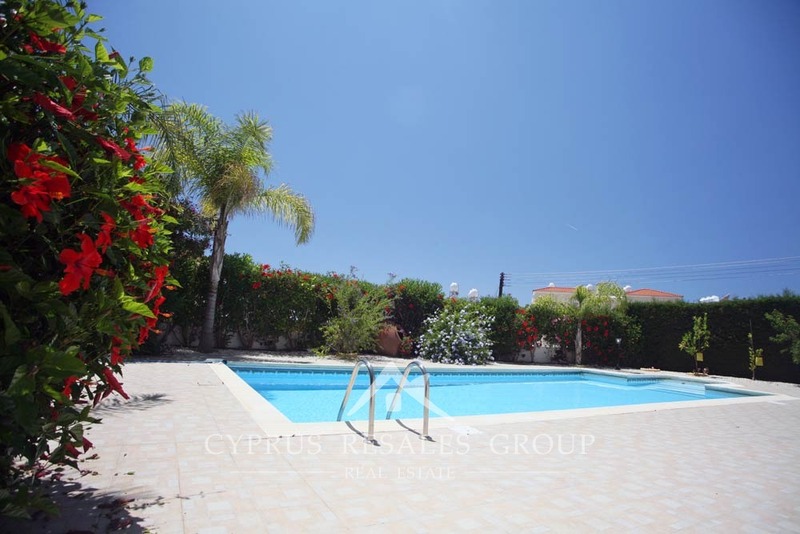 The walled gardens are surrounded with lush plants providing the most private atmosphere you can wish for. 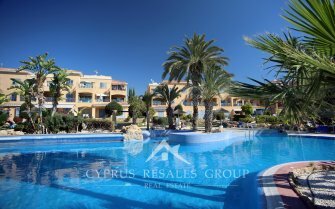 The centerpiece of the internal garden is a large swimming pool with Roman steps that gives you the perfect place to cool off. 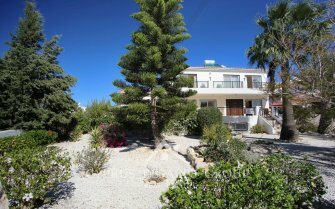 If you fancy the sandy beach, then the blue flagged Coral Bay area is only 10 minutes by car. 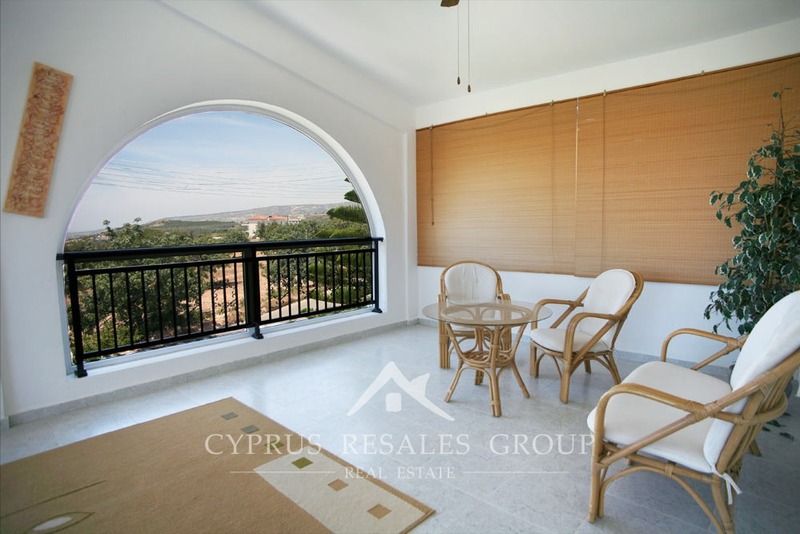 Unlike lots of properties in the area the plot is perfectly flat allowing the entire area to be used as no space is wasted on endless steps. 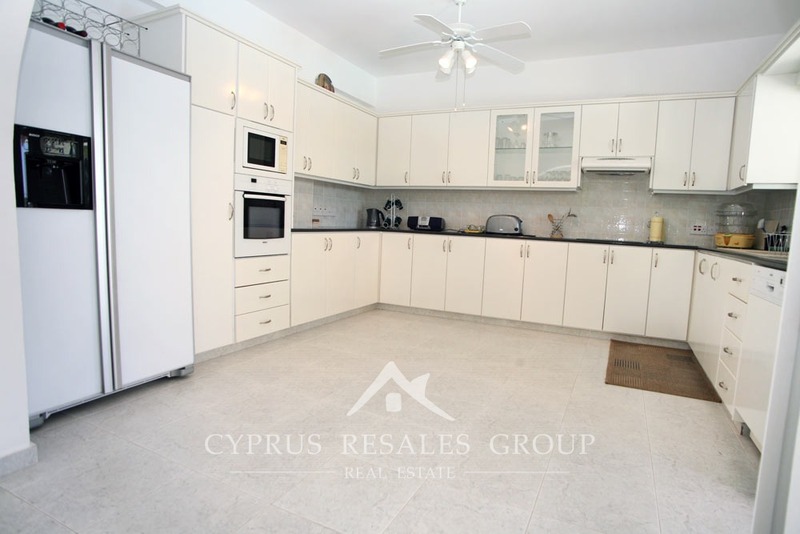 Other benefits include a garage with electric door and an outside utility room with toilet and sink. 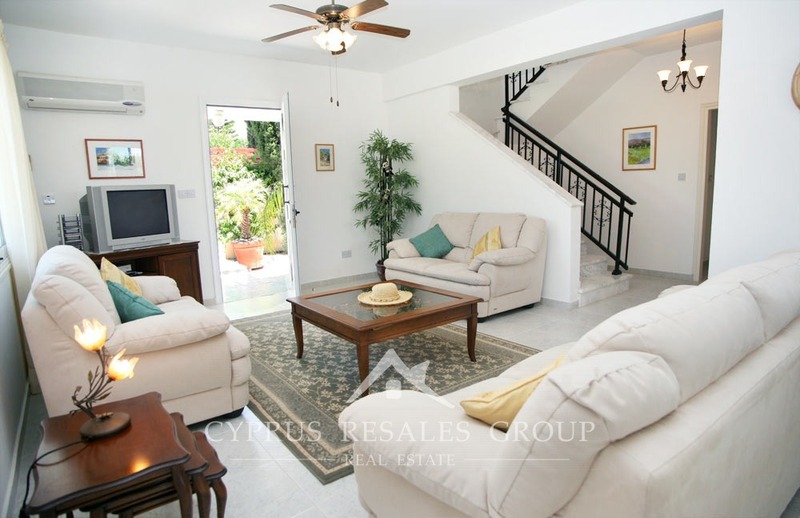 On entry we come to a spacious open plan living-dining area that exits onto the covered veranda. 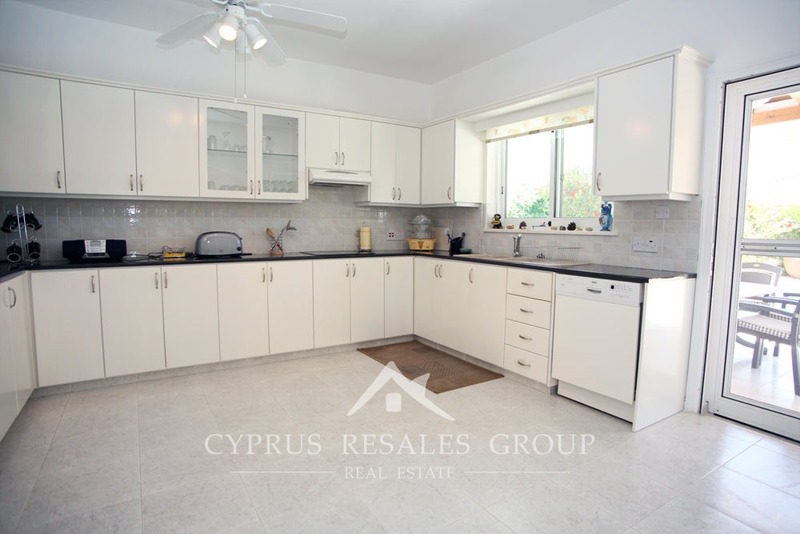 Full size fitted kitchen is finished in neutral light colors and benefits high standard appliances. 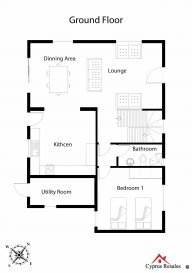 Also on the ground floor is one of the three double bedrooms with fitted wardrobes and a shower room with toilet. 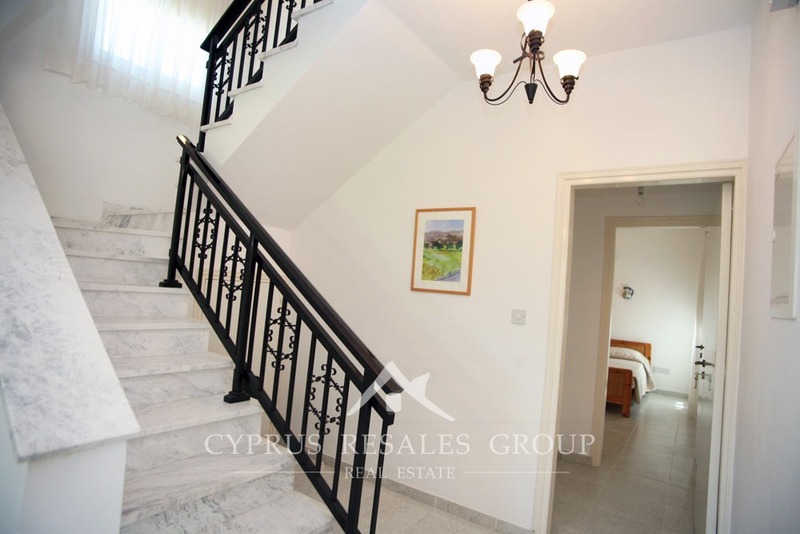 Stylish marble stairs are leading to the first floor where we find is a second lounge with arched windows framing spectacular sea and mountain views. 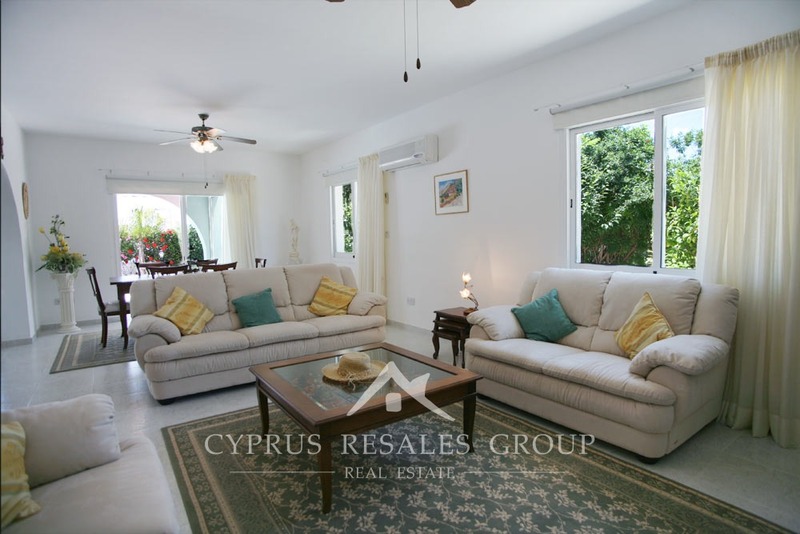 This is an excellent space with year round appeal and it could easily double as a games’ rooms for teenagers or even adults. 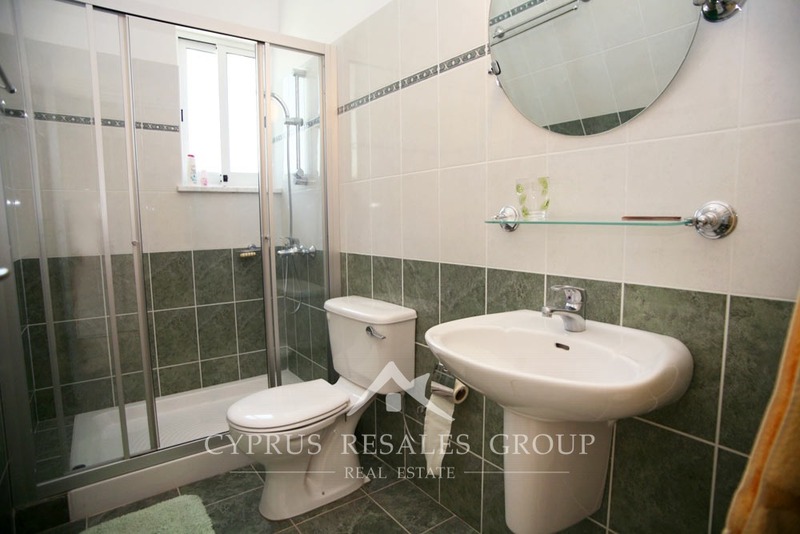 Two further bedrooms, master with and en-suite, and a further shower-room are also located on this floor. 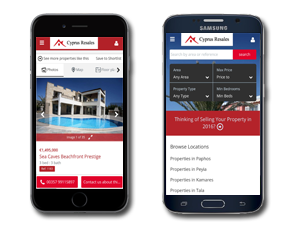 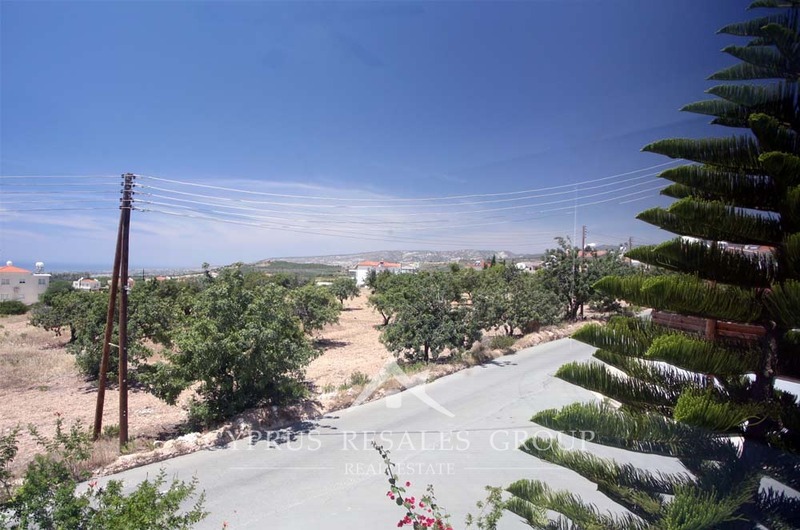 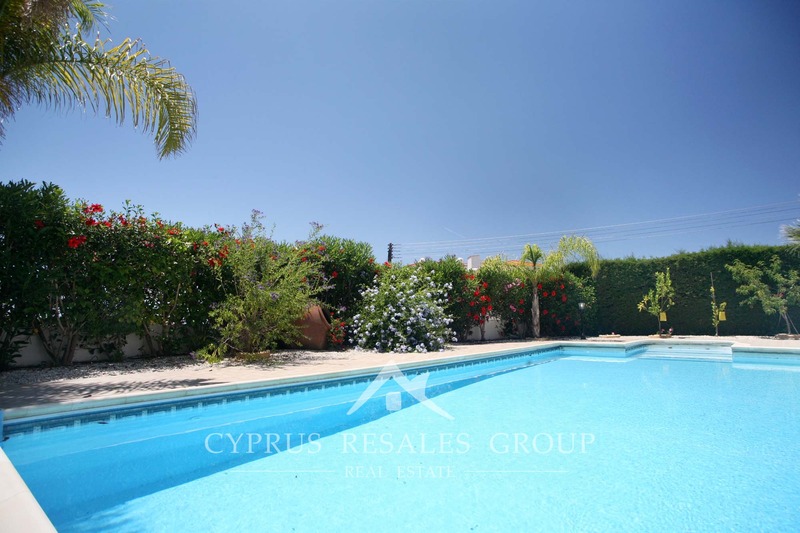 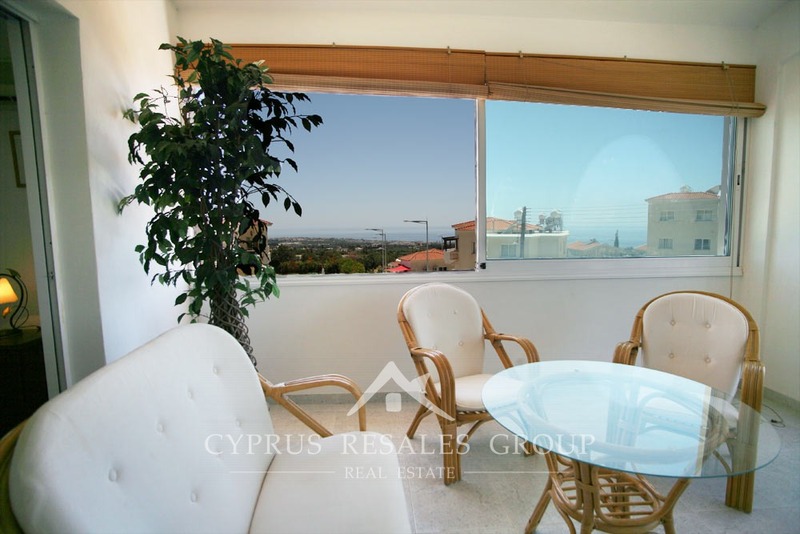 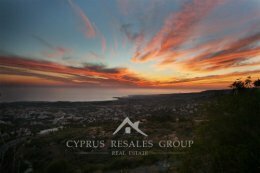 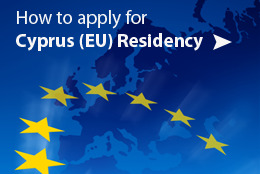 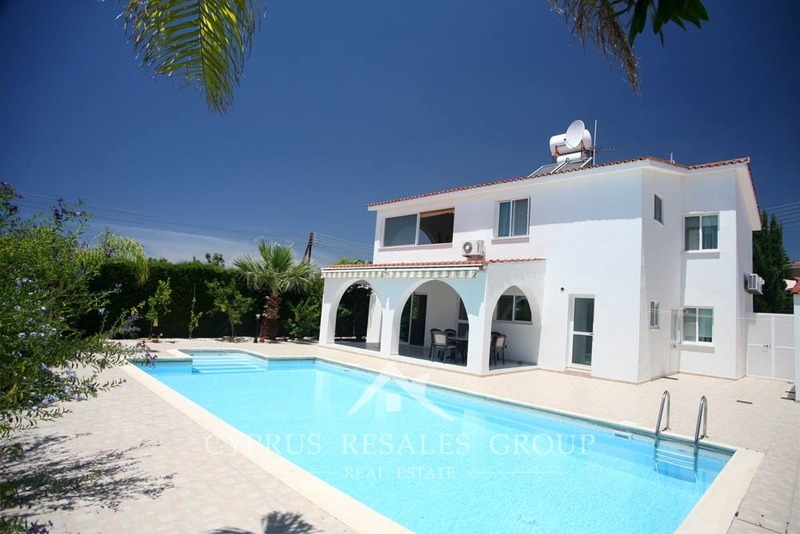 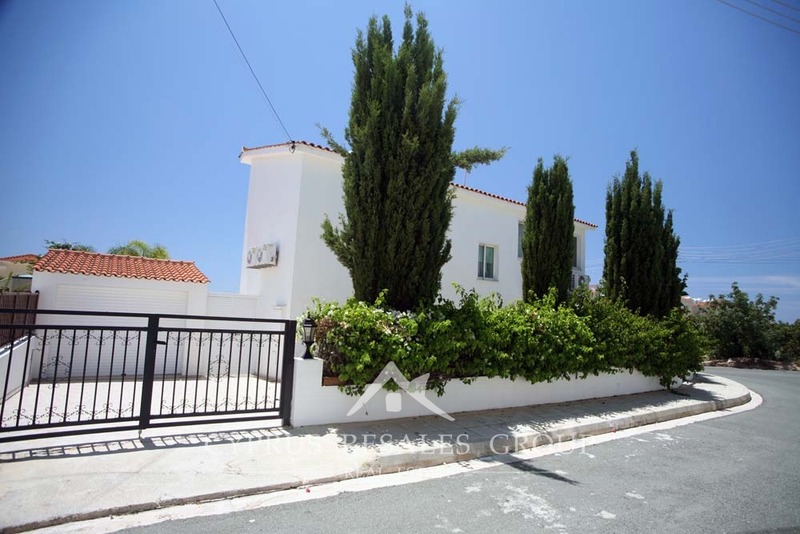 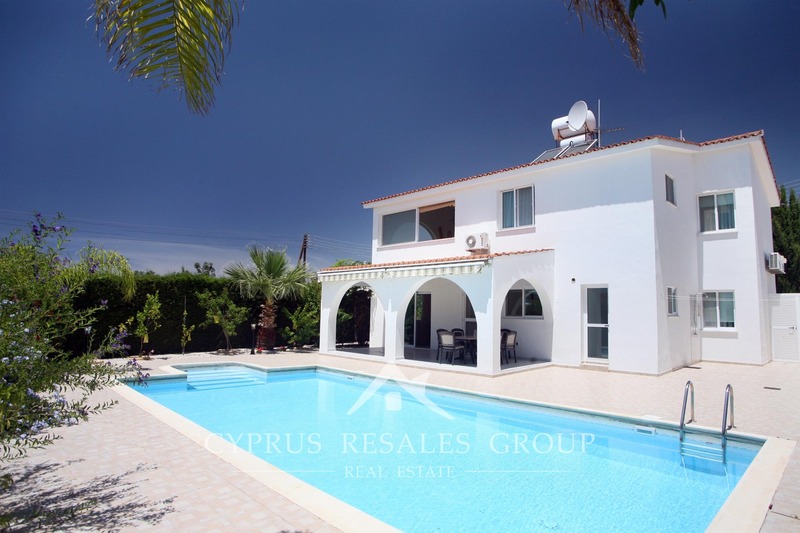 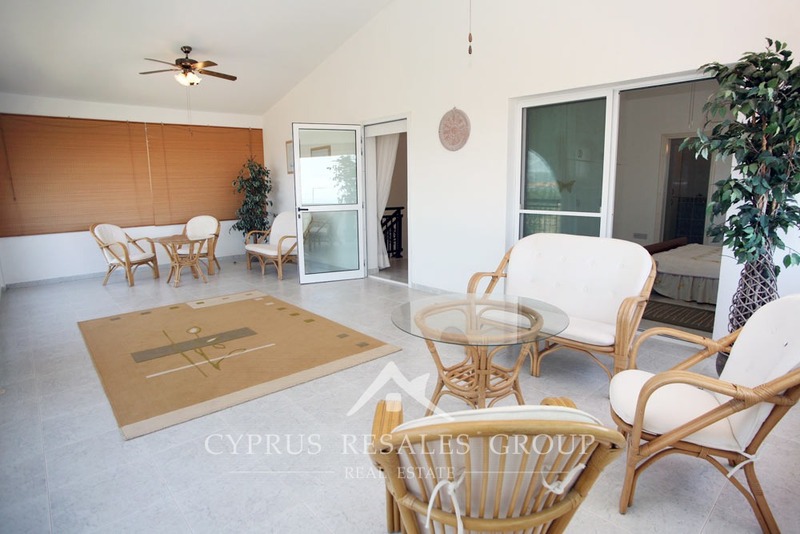 As you expect form Cyprus Resales this substantial property has FULL TITLE DEEDS, enjoys excellent location and is realistically priced from the start.